The federal government is aggressively promoting cloud computing, and the trend is trickling down to city and county agencies like Mecklenburg County, N.C.
Federal agencies, spurred on by the FedRAMP initiative, are moving aggressively into the cloud. Increasingly, local governments are doing the same on their own initiative. Examples include Chicago and Mecklenburg County, home of Charlotte, N.C. Another is Asheville, N.C., where InformationWeek columnist Jonathan Feldman serves as CIO. Brian Cox, Mecklenburg County's business support services director, put the challenges in two broad buckets: technology and people. The county had issues gaining a thorough understanding of how cloud connectivity works. According to Cliff Dupuy, Mecklenburg's network and technical services director, "When you move assets to the cloud, it's imperativse to properly diagram/white paper how all of the pieces and parts fit together." Dupuy's team worked with the county's provider (Microsoft) to develop a service map outlining who is responsible for what if there is a service interruption. "Yielding control is the primary tradeoff," Cox said. "Since we no longer manage the servers, we seek service from our vendor as opposed to remoting in to troubleshoot ourselves. However, this is a minimal issue as our uptime over the past months is 99.987." Another major issue in getting on the cloud is the fact that your data might be exposed to additional security risks. 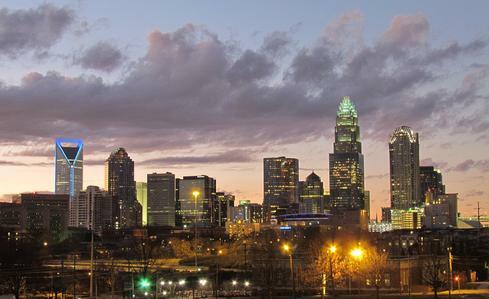 Mecklenburg County addresses this by using the Microsoft Government Cloud and trusting in the strength of its security and disaster recovery profiles. "As a customer of Microsoft's government cloud, we enjoy a higher level of data security than a local leased data center," Cox said. Before county staff members can enjoy the advantages of the new environment, they need to understand it -- and it's easy to misjudge people's level of understanding of the cloud as anything more than a buzzword, Cox said. Leveraging benefits, such as the ability to access files via the web, is dependent on behavior change by county employees. I encounter someone practically every week that doesn't realize all they need to use email, files, and their calendar is an Internet connection and web browser. Once it clicks, the productivity door swings wide open. Time and place become secondary. There also can be some initial anxiety among IT staff that jobs could be in jeopardy. We used this as an opportunity to change and expand roles that were previously somewhat limited. Not everyone wants to go through the transition to learning a new system if they think the current one is "just fine." Is moving to the cloud worth the trouble? There are several things for government leaders to consider. Can your organization save on costs, or will it become more efficient with the cloud solution? Will it allow your organization to be more innovative? Will it improve your organization's outcomes? 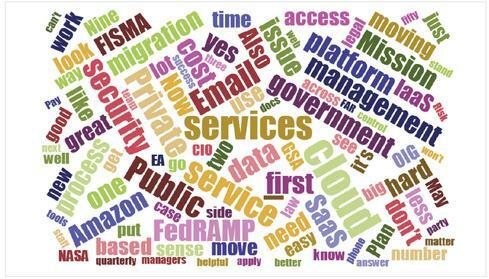 In short, can your organization capitalize on the advantages of moving into the cloud? 1. The cloud allows you to be flexible. One of the biggest draws of cloud computing is that you can just add capacity and horsepower when you need it. What does this mean? If a city government or a public library has a new service, it can easily sign up for cloud services to help provide the new service. When the new service is much more known and more and more people are using it, staff do not have to worry about limited resources, because they can easily add the computing resources that they need. This means that they do not have to buy new servers and more hardware before they can release the new service. They can also pull the plug on the new service if it turns out to be a dud. "The bottom-line benefit is cost avoidance by reducing the overhead associated with on-premises storage and data backup," Cox said. "It's simply cheaper, plus I have a general aversion to owning depreciating assets." 2. Getting on the cloud allows you to use the most current technologies and puts you in a position where you can take advantage of new technologies that are coming out. And you can do that even when you do not have a dedicated IT person on staff. The cloud provider will take care of software upgrades, system upgrades, hardware, and other things, so you get to focus on your operations and on more urgent tasks. This frees up your people to focus on giving services to the public. Chicago CIO Brett Goldstein has said that, as an IT person working for the city government, he does not really have to get into the nitty-gritty of email networks and services. You could "do it outside, do it better, and do it at a lower cost," and now he can focus more on other IT initiatives for the city, such as big data and other new technologies. 3. The cloud allows you to take advantage of other modern technologies. This benefit is much needed in public libraries, where the library management system often is outdated and archaic -- so much so that you cannot possibly expect it to take advantage of new technologies. With the cloud, you can easily integrate your current systems so that you can have your physical holdings, digital editions, and licensed collection together. You can take advantage of APIs to put out new services based on the latest technologies. You can come up with services such as sending SMS to remind a patron that her book is overdue. Or you can make a searcher's work easier because he will be searching in web environments that are already familiar to him. You can also easily connect with other libraries. 4. The cloud allows you to streamline and simplify your systems. As in the public library example, all your systems will be in one place, rather than being distributed all around. This helps acquisition librarians effortlessly manage the diverse and growing collections of books. Serial librarians have an easier time controlling and accessing collections that are spread across the web. In addition, electronic resource librarians could straightforwardly manage the dynamic vendors list. In general, the public library would be able to administer its entire collection easily and tell the world what its collections are. 5. The staff's technical skills can be enhanced. Dupuy adds a side benefit that he didn't really anticipate: the enhancement of technical skills for staff members. Since they are no longer monitoring, building, supporting, and troubleshooting servers, they have been able to gain additional skill sets and certifications to support a cloud solution. These enhanced skills include developing and using PowerShell scripts, management of data loss protection, and the implementation and maintenance of rights management. If they play their cards right, local leaders who use the cloud effectively could outdo their federal counterparts. Join us at GTEC, Canada's government technology event. More than 6,000 participants attend GTEC -- Government Technology Exhibition And Conference each year to exchange ideas and advance the business of information and communications technology (ICT) in government. Don't miss thought-provoking keynotes, workshops, panels, seminars, and roundtable discussions on a comprehensive selection of ICT topics presented by leading public-sector and industry experts. Register for GTEC with marketing code MPIWKGTEC and save $100 on entire event and conference passes or for a free expo pass. It happens Oct. 27-30 in Ottawa. Using cloud systems in an area under a government would only mean work done easily. Now the government would have direct access with the consumers (i.e. the localites) who can directly pass a message about what needs to be fixed (roads, railways etc.) and in due time. Also it really helps the local government to hold voting without much hassle, it also helps them in monitoring the safety of the localites. This would also mean that crime rates would be falling.